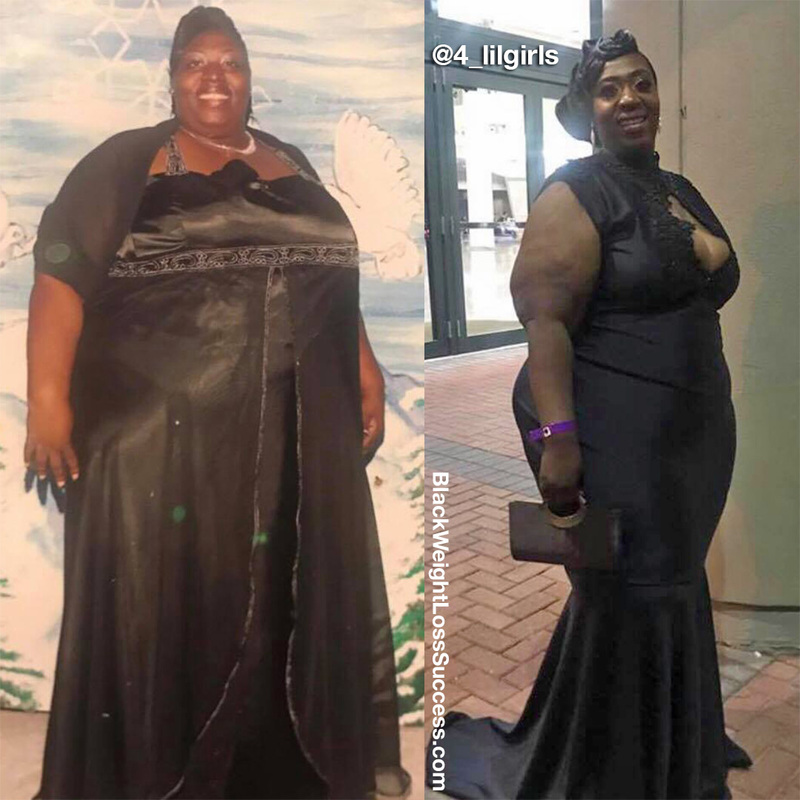 Transformation of the Day: Patricia lost 152 pounds, down from 501lbs. This Louisiana mom knew that the weight would not come off overnight. She cleaned up her eating habits and strived to workout everyday to achieve these results. Check out her story. Hi, I’m Patricia Johnson from Louisiana and what most inspired me to change my life was my kids. I needed to be here to see them grow and be a part of their life achievements. I changed my eating habits by cutting out all fried foods, sweets and sodas. I incorporated more vegetables, protein, and water to my diet. My workout routine consists of walking one to two miles daily and working out with a personal trainer three times a week at Kfitness. My starting weight was 501 pounds and my current weight is 348. 5 pounds. My height is 5’6″. I started my journey in April 2017. My transformation took 2 1/2 years, and my goal is still yet to be reached. Was weight loss surgery part of your journey? No, weight loss surgery is not a part of my journey. This an all natural journey! The biggest lessons I learned were to trust the process and not to go looking for a quick fix. I didn’t gain the weight overnight, so I will not lose it overnight. My advice is to trust in yourself know that there will be good days and bad days. Keep pushing and never give up. Congratulations from Plaquemine. From Patricia to Patricia you look great! My motivation. Patricia you are a beautiful woman keep pressing. Great job done. Continue to achieve your Goal. You are so amazing. Congratulations keep pressing toward your goal you deserve it. I always said hard work pays out. I love your free Spirit thank you. Looking forward to reading about your journey I need help motivating myself. So proud of you…you go girl! I’m starting my journey now. It’s all about feeling healthy and looking nice. Girl go ON witcha BAD SELF! SO proud of you and I look forward to hearing and seeing more of your inspiring story! Great job! Thanks for the motivation. I am still on my journey.